Hotel Cult Frankfurt City Frankfurt am Main, Hotel Germany. Limited Time Offer! The Cult Hotel is near the River Main, perfect for a romantic stroll. 2 km (1.2 miles) from downtown Frankfurt and 3 km (1.8 miles) from the city's main fair grounds. The Modern Art Museum, German Cinema Museum and Frankfurt Zoo are all within 1.5-km (0.9-mile) of the hotel. A five-minute walk brings you to the Florentin district, famous for its great Italian restaurants. 9 km (5.5 miles) from Frankfurt international airport. This 3-story property offers 80 modernly decorated guestrooms in a sober, cream tones with dark carpeting and light wood furnishings. All are equipped with cable television, a minibar and wireless internet access. Here, guests are offered elegant accommodations and a complimentary continental buffet breakfast. You can also enjoy nice weather on the hotel bar patio. 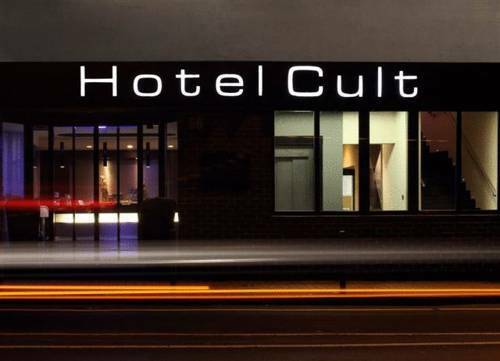 Opened in 2005, the Cult Hotel is a trendy property featuring contemporary interiors and artwork. Centrally located near the city's Sachsenhausen district, and well-connected to public transit, the Cult is ideal for visiting, shopping and business trips. After a busy day working or exploring tourist sites, relax in the hotel's sauna or have a massage. 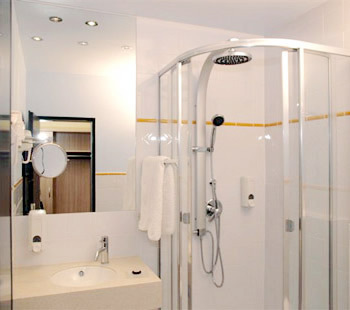 + Conveniently located near the city center, very clean and neat place. Excellent value for the money. + Price was very good, room was a good size. - Room had a bit of bad air, although I'm sure I asked for a non-smoking room. + The hotel is very near to all places and at the same time located at very quiet place. Very nice and clean hotel. + Closeness to S train and airport. Closeness to pedestrian section and river. Modern, clean room. + very good room, comfortable. The breakfast was very good, a lot of variety.